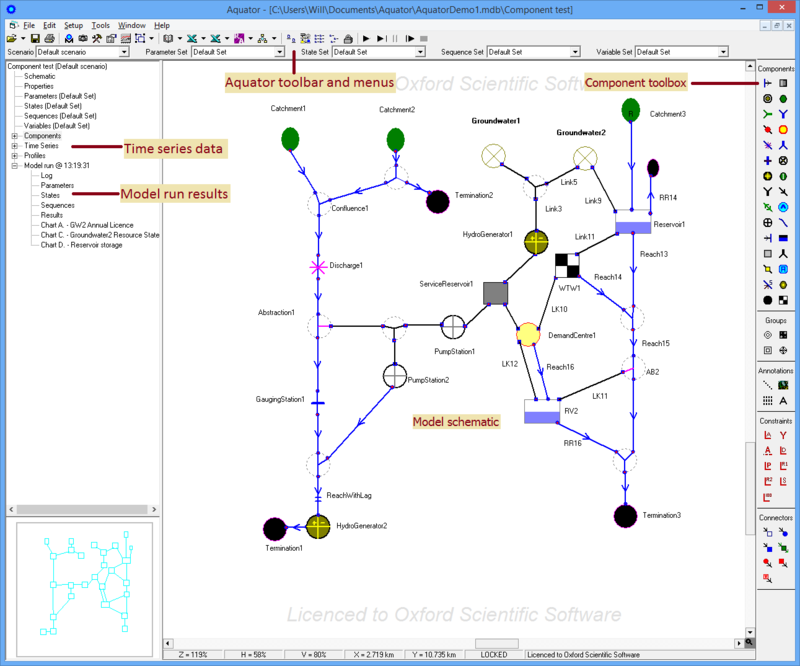 Below is a full view of the Aquator window after a model run showing the model schematic, Aquator toolbar, Component toolbox and location of data for Components, Times series data and Model run results. (Click on the image to display an expanded image in a new window). Below is an illustration from part of a larger model of the animation in Aquator. 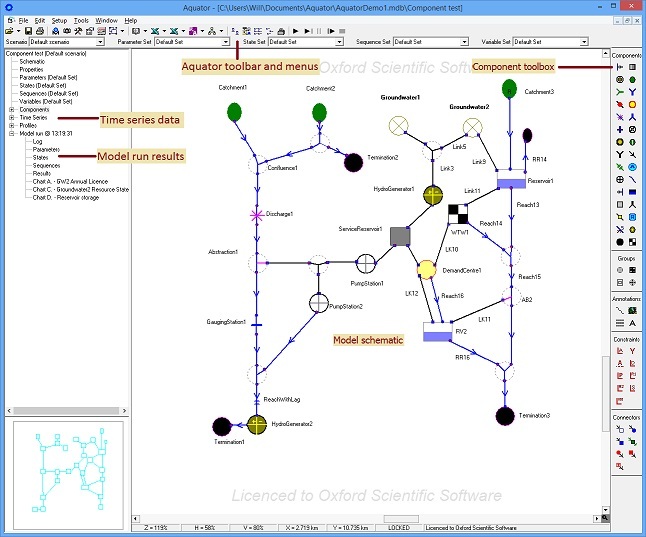 In it four reservoirs, each fed by river catchments, are coupled to the supply system by an outflow from Reservoir D which also maintains the River Wye flow during dry conditions using the regulator component: Reservoir D regulator.